The Cokin Z-Pro Series Graduated 0.6 to 0.3 Sunset 2 Filter is designed for use with a Cokin Z-Pro Series Filter Holder. Its graduated, edge-to-edge coloration can be used to create an intentional warming effect, which features gradation, over an entire image. 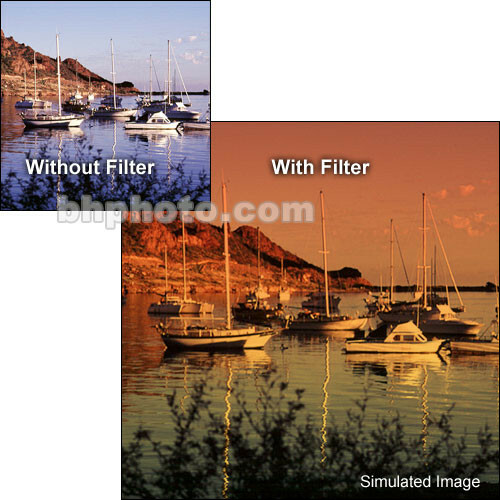 This filter can be used to enhance an existing sunset within a scene or to simulate a sunset in order to enhance a hazy or colorless sky. The Cokin Z-Pro Series Graduated 0.6 to 0.3 Sunset 2 Filter is densest at one edge with up to a 0.6 density that tapers to approximately a 0.3 density at the other edge. This filter's 0.6 to 0.3 density range corresponds to a reduction of light from entering a lens by two stops to one stop. Box Dimensions (LxWxH) 6.7 x 4.8 x 0.5"
Z-Pro Series Graduated 0.6 to 0.3 Sunset 2 Filter (2 to 1-Stop) is rated 5.0 out of 5 by 1.